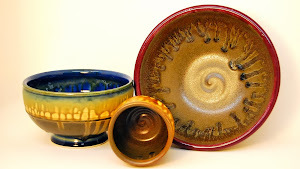 Jacob Accurso Pottery: Cast a roll? No -- I said, "Casserole!" Cast a roll? No -- I said, "Casserole!" Here are some thoughts on a couple uses for handmade casseroles and how to avoid thermal shocking. 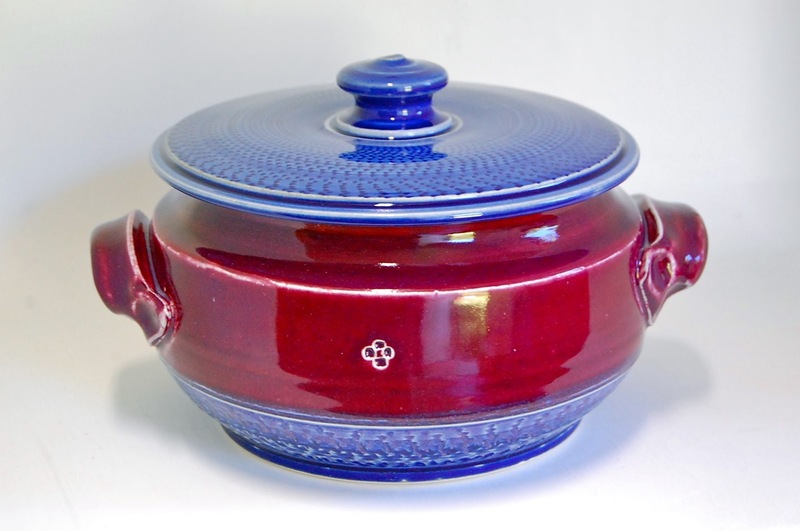 We bake in our YOOOOOGE "Man Pot" casserole, but we also use it as a beautiful serving dish. We serve mashed 'taters and cold broccoli salads and all manner of delicacies in a casserole. Casseroles are NOT just for baking. However, if you do want to bake 'n serve, a handmade pottery casserole is a perfect medium for such. Here's what you do. It's important to go easy on the properties of clay by making sure you introduce the pot to a cold oven and heat from room temperature. In fact, you might want to take a little more care to bring all the ingredients up to room temperature first by allowing the dish to "set a spell" to make that happen. Me? I'm rather reckless, knowing that if I torture my pottery, I can just go out to the studio and make a new one. You, on the other hand, are hopefully not going to be throwing caution to the wind and you will treat your pottery with some TLC. Common sense -- that's all this amounts to. 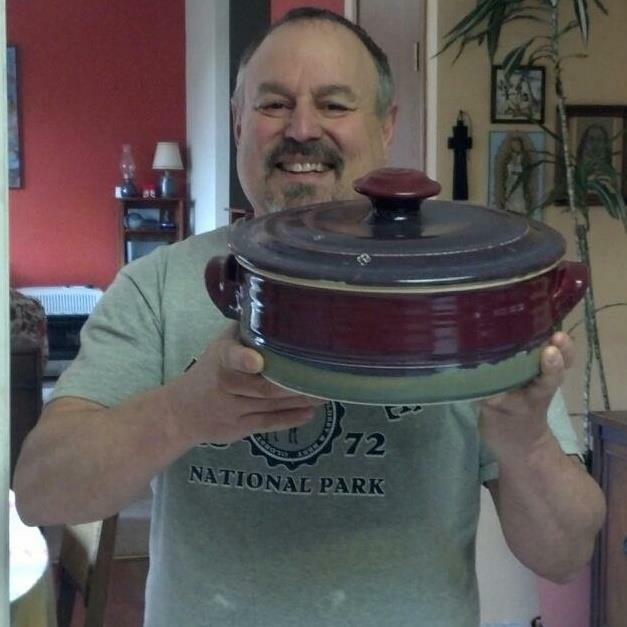 Just let me say however, that after having tortured my pottery baking dishes and casseroles for many years, they have all survived. Except that one piece I made back in 1981 in Otter Rock out of that crappy clay that had no business getting used. But hey -- it worked for many years, even after it cracked back in the 90s. As I was saying, just place your pottery casserole in a cold oven and let the dish come up to temp. You can cook safely into the high 300s, but I wouldn't go above 400 degrees F. When the dish is finished cooking, you would do well to just prop open the oven door and let all that heat slowly float away from the pot. Give it 5 minutes or so. 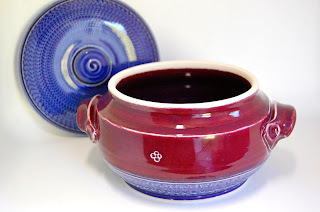 Use hot pads to grab the lug handles for safe portage onto your favorite glazed pottery trivet.